Informant SM is a sophomore studying Biomedical Engineering at the University of Southern California. He is very passionate about philanthropy, specifically helping poorer parts of India and aspires to one day become a doctor. The informant tells me(AK) about a very popular meme regarding the recent construction on USC’s campus. SM: Let me tell you about this new meme, it’s called the “Pointy Thing” meme (shows picture on phone). AK: I actually haven’t seen this one, can you explain a little about how this started? SM: You know, I’m actually not sure. 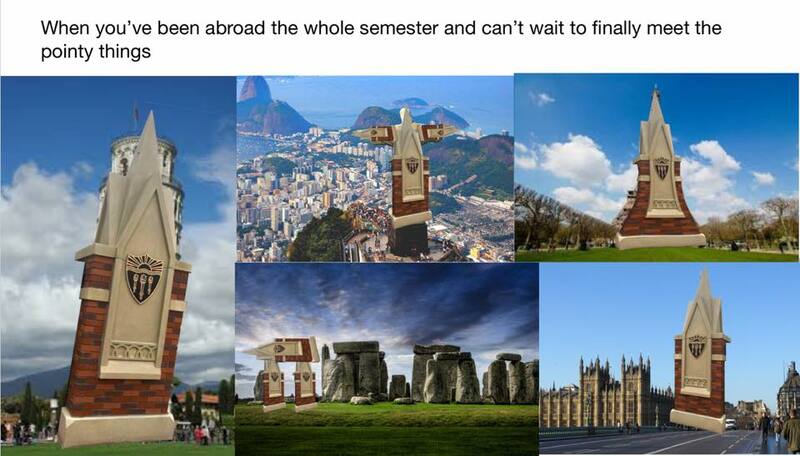 I just remember seeing someone post about it on the USC meme page and it kind of took off from there. AK: Do you think this says anything about our student body? SM: I think it’s a great thing that we’re all able to make jokes about something like this. You know, even Nikias posted about these “pointy things” on his Instagram, so it just seems like something everyone can laugh about. I found this piece to be incredibly interesting because not only did it feature a very modern form of media, but also because it referenced the specific folklore of a college. In today’s day and age, people are always in search of a form of immediate gratification. Memes are the perfect outlet for quick jokes or puns because they feature a short amount of text that highlight a funny or playful picture. For this reason, memes are the perfect way for something like this to spread quickly across a college campus to the point where even the president hears about it. The other thing that made this so interesting to hear about is the fact that it is relevant only to USC. Any group, large or small can have folklore, and this piece is a testament to that fact. Informant: Alex is a 23-year-old from Southern California. He self-identifies as a gamer. He also frequently uses Twitch, a website that allows people around the world to stream videos – especially of themselves playing video games – live. Background Information about the Performance: This piece was found online by the informant. 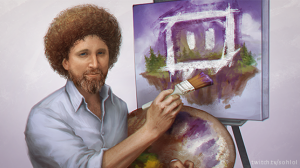 It depicts Bob Ross, a famous painter and TV personality, painting the Twitch logo. Bob Ross is a popular meme on Twitch following a nine-day-long marathon of his original program, The Joy of Painting. In this meme, his face has been replaced by another Twitch meme, Kappa. Kappa is a prominent emote used on Twitch videos. Context of Performance: This meme is spread around internet communities, specifically through Twitch and other social media sites. Thoughts: This particular meme is somewhat unique as it combines two separate memes in the Twitch community. 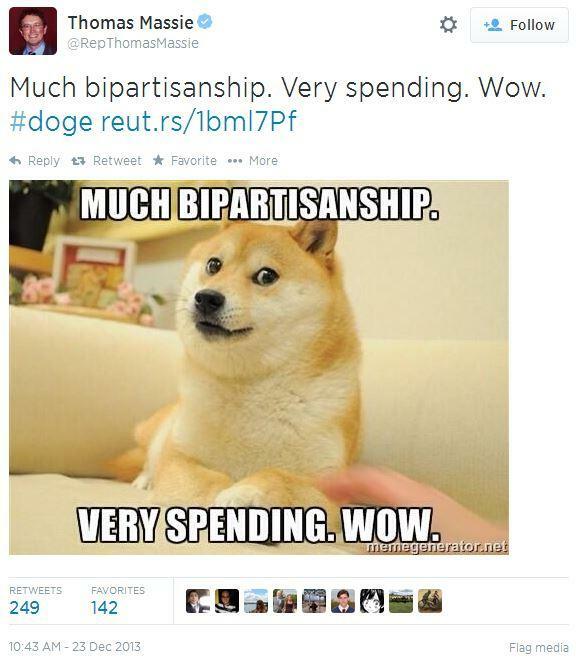 It is also notable as it is authored media that has become a meme spread around the community. Informant is USC sophomore in the film program. The subject is the “Pointy Thing” meme which has circulated through the USC student body this year. I ask informant to pull up his Facebook account and log into a group with about 15,000 members where students make and share memes with each other, usually about the school or the different majors. Scrolling through a number of posts liked between 500 and 3,000 times, he arrives at one which depicts a man in a white T-shirt with one arm in the air. The president of the University is photoshopped in place the face, and “Pointy Things” are raining down across the image*. The image has about 5K reactions in the Facebook group. I think it’s cool how all these USC students can come together in a group to make jokes with one another about the school they share. In a way, it’s kind of unifying. “Yeah, they went all out. Pointy things in the Matrix was done, somebody 3D printed a pointy thing. Beating a dead horse at this point but people will like it if you make it” he tells me. *The image was based on the popular Salt Bae meme, in which Turkish chef Nusret Gökçe is seen sprinkling salt in a fancy manner. Informant is a facebook page that regularly posts memes. As the page’s primary following is teens and young adults, most of their content is humor based on 1990’s & 2000’s American youth culture. This particular post shows Ness, a character known from successful Nintendo game ‘Super Smash Bros Melee,’ with a retro Dixie cup print on his clothes. 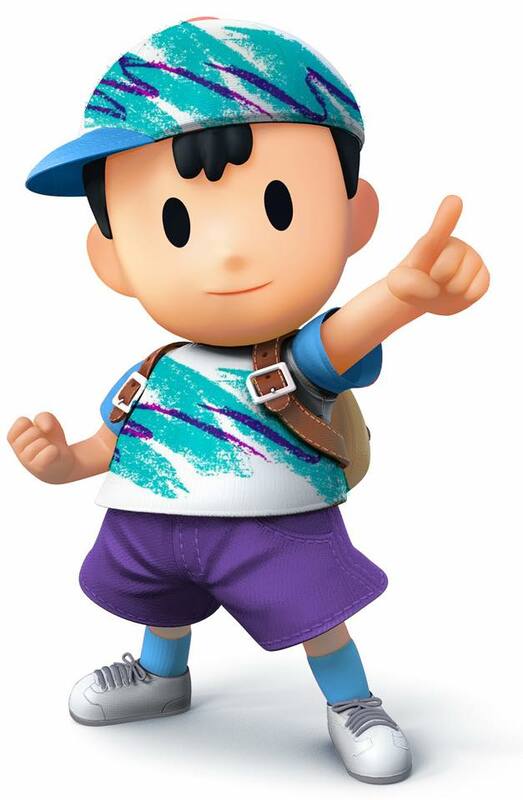 By combining the popular 2001 video game character with the distinct folk pattern of 2000’s school cafeteria cups, this satirical image is aimed to evoke nostalgia. 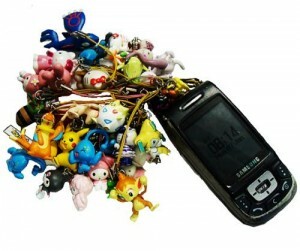 This particular post shows an early 2000’s cell phone with an excessive amount of Pokemon accessories. Such accessories were a fad in the days of the flip-phone. The Pokemon attached to the phone are from the years 1996 to 2006, highlighting the target audience of this meme page. By combining the retro mobile phone with an excessive amount of once-trendy, Pokemon themed folk objects, this satirical image is aimed to evoke nostalgia for people who grew up in this era. Informant is a Facebook page that posts only memes. 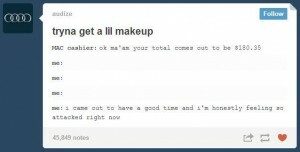 As the page’s primary following is teens and young adults, most of their content is humor based on early 2000’s culture. 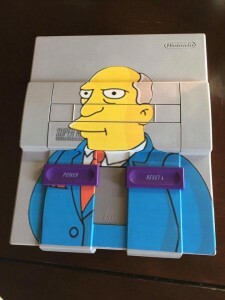 This particular post shows a Super Nintendo gaming console (1990), with a decal of Superintendent Chalmers of the popular TV show the Simpsons. 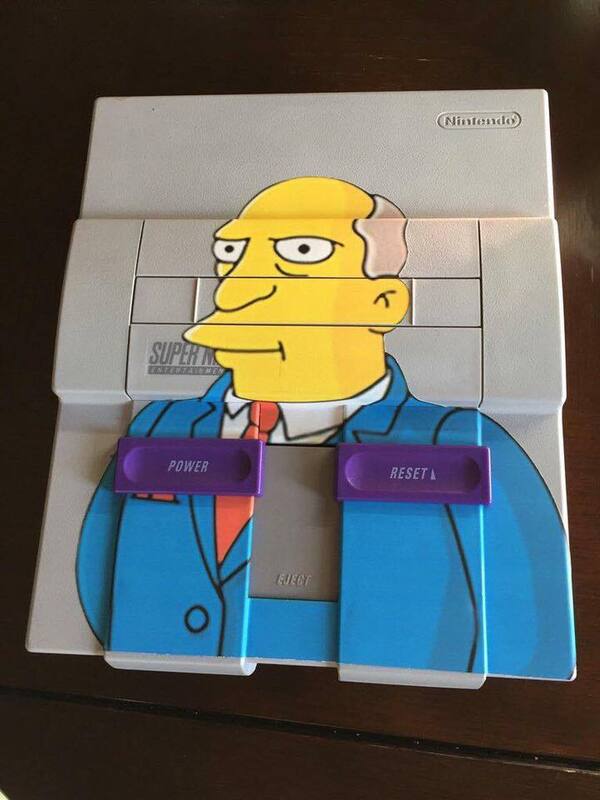 The pun here is on the words ‘superindendent’ and ‘supernintendo.’ By combining the show known for its success in the 1990’s, with a 1990’s video game console , this satirical image is aimed to evoke nostalgia for people who grew up in this era. 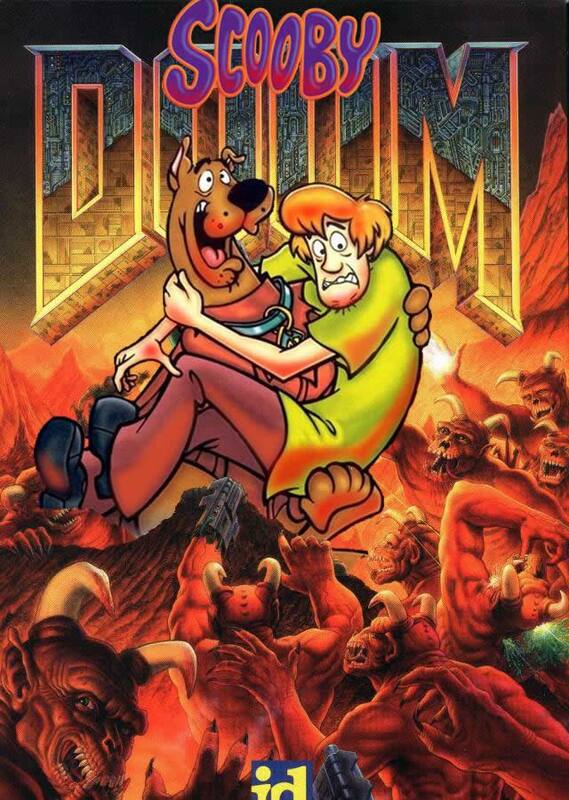 This particular post shows an early a classic image of cartoon characters Scooby-Doo & Shaggy, superimposed over popular 1993 video game Doom. Scooby-Doo was popular for children growing up in the 1990’s who would eventually go on to play these early computer games. By combining the two popular 1990’s mediums of entertainment, this satirical image is aimed to evoke nostalgia for people who grew up in this era. 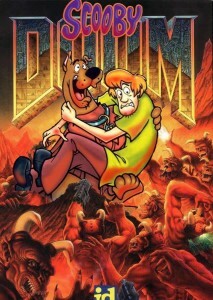 Further, the contrast in the subject matter of Doom (a violent shooter), and Scooby Doo (a children’s cartoon) is funny. John Cena is a well-known WWE wrestler and Hollywood actor. In 2012, a prank call aired on a local radio station (“Z morning Zoo”) where the DJs repeatedly played a sound clip advertising John Cena’s wrestling career to a wife who was fed up with her husband’s obsession with WWE wrestling. Two years later (2014), the channel “RuinCommentsOfficial” uploaded a recording of the prank call to YouTube which gained over 20 million views. Another year after that (2015), the sound clip from the video resurfaced as a popular meme on on Vine, an internet platform where users can post 6 second video clips. 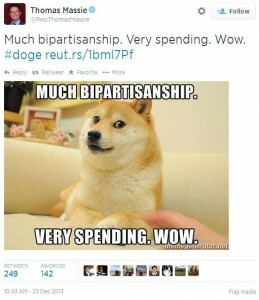 Several other websites, such as Reddit and Tumblr, also contributed to this trend. Since then, hundreds of thousands of versions of the John Cena clip have appeared across the internet. The sound clip from the radio station prank call and a video of John Cena will pop up in the middle of a video which was seemingly about something unrelated to John Cena and WWE wrestling. There is usually no connection between the interrupted video and John Cena. Occasionally, the John Cena audio clip is mixed with a preexisting video meme. Far more people participated in the spreading of the John Cena meme than actually watch WWE wrestling or are fans of John Cena, so there was a reason people were drawn to this folklore than actually had a personal investment in the subject matter. However, because of the way the meme originated, internet users were able to adapt the collective internet “inside joke” of the John Cena audio clip to fit into any other type of video that may interest them. Therefore, every person who came across the John Cena meme could contribute their own take on the joke and no one needed to even know who John Cena really was to join in on the laughter feel connected to the internet community. 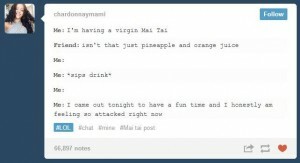 Tumblr user chardonnaymami posted a transcript of a conversation about virgin mai tias that included the phrase “I came out to have a good time and I’m honestly feeling so attacked right now.” Over the next several weeks, the phrase was used in thousands of copy posts, molding to fit any number of situations. It reaches a point where people began to parody the phrase often enough that it would be impossible to understand some jokes if you didn’t have the background knowledge to recognize the original phrase. 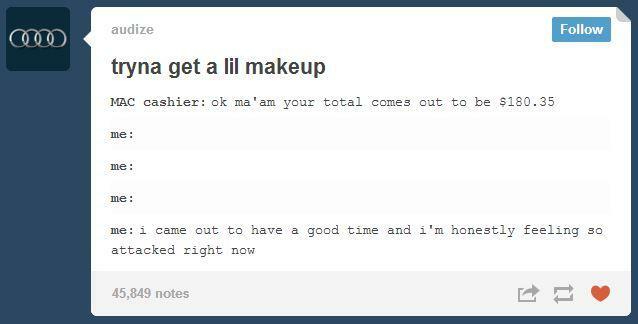 This meme was spread mostly on the popular blogging website Tumblr. It would mainly be used after some sort of criticism to sarcastically complain about being criticized or challenged. This piece of internet folklore probably caught on so quickly because it addresses a problem that many people face on the internet: trolls and incessant criticism. By enacting this popularly used phrase, users could playfully deal with situations that are normally uncomfortable and hard to deal with. Furthermore, once the meme reached a certain level of popularity, it became almost necessary to post some form of the phrase to establish one’s self as a real part of the community. If you didn’t get the joke, it meant you clearly hadn’t been paying very close attention. Doge is a slang term for the word “dog.” The most typical form of the meme contains a Shiba Inu dog staring at the camera with what looks like an approximation of a skeptical human face. Written over the image (usually in comic sans font) are sentences with intentionally poor grammar (Ex: very wow, much concern, so scare). 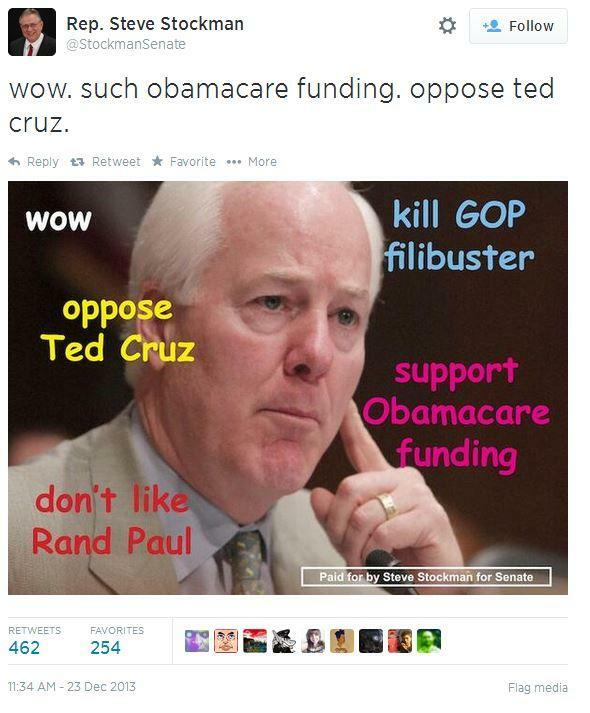 The image is circulated on forums across the internet, most often on Tumblr, Reddit, and 4chan. There is no real specific time that is is supposed to be used, other than when the poster finds it to be humorous. However, after the image and internal monologue phrases went viral on the internet, companies, news broadcasters and politicians began to utilize them when trying to reach a younger demographic. This piece of folklore combines several things that are consistently popular on the internet: cute animals and bad grammar. There seems to be little reason for the initial circulation of the image other than that it made people laugh. However, the continued use of the meme seems, for many, to be a way to identify oneself as a member of the internet community. The use of the image or phrases by politicians and companies seems to be a somewhat misplaced attempt to connect with the “younger generation” who spends more time on the internet. These attempts are usually mocked in online forums, proving that the point of the meme, as folklore, is to connect a certain group of people (common internet users), and when it’s used outside of that context, it doesn’t carry the same weight.